As a marketing professional with the Fieldbus Foundation, I get the opportunity to host and participate in events across the world. Every now and again I get the pleasure of listening to a presentation that breaks through the mundane and challenges the all too often heavily laced technical mumbo jumbo presentations that Process Automation folks are used to hearing. One such presentation, it turns out, comes directly from our very own End User Seminars that the Fieldbus Foundation hosts in North America. Michael Clark, the President and Chief Consultant for BusCorp, took it upon himself to put together a presentation that would make fieldbus simple for users to understand. As someone who has gone into many meetings with users wanting to upgrade their aging automation systems, he’s well aware of the “unwashed” user that wants the great new features and capabilities technology has unlocked over the last decade (or 2 or 3 decades for many of these sites), but doesn’t know the first thing about installing/using it. The problem of course is that change upsets the norm. That makes people hesitant and worried. They fear the unknown and are uncertain of the outcome. Throw in some technical complications into the mix, and you’ve quickly got a back peddling user worried whether he/she made the right decision. How could he make things simple to understand? Not just for the user installing it, but for the build/modernization crew? His presentation challenges the notion that just because something can be done, doesn’t mean it should be done. Why not make things so simple that there is no worry about whether it could be done? Engineers like to call that Certainty of Outcome. As for Mr. Clark’s presentation, the message is what he dubs “Fence Me In”. If you want to be sure to catch Mr. Clark’s presentation in person (trust me you do! It’s one of those that doesn’t translate nearly as well on paper) be sure you attend one of our 2014 fieldbus seminars. This year we’ll be in Calgary, AB Canada, Baton Rouge, LA and Houston, TX. You can find more information on those events as it gets released by going to our Events section. “Fieldbus Foundation Benelux continuously looks for different and new ways to close the gap between the members marketing/sales forces and end users. Three years ago FFBenelux actively added End-Users as special member to the Benelux marketing committee. 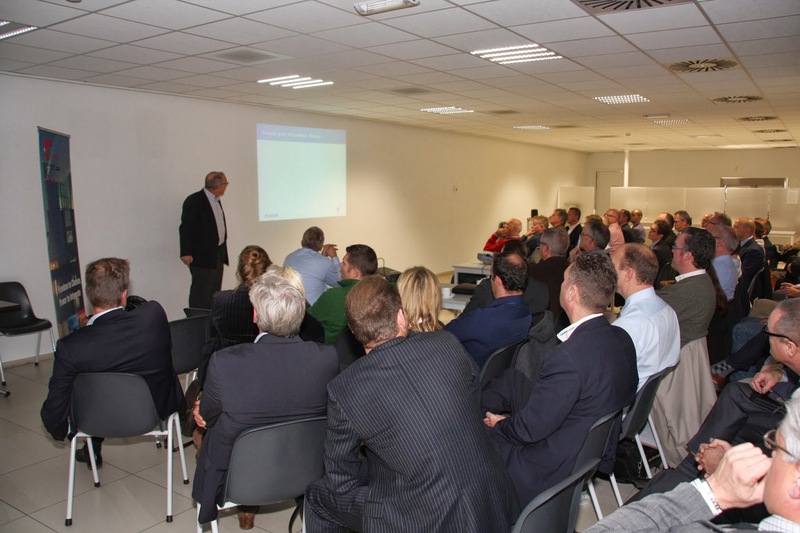 This year Fieldbus Foundation Benelux again has organised a new type of seminar which took place October 31st at the new Acta education centre in Brasschaat (Belgium). What was new? This time the targeted audience (Sales forces of member companies) enjoyed during a late afternoon masterclass lectures of End-Users and experienced EPCs. 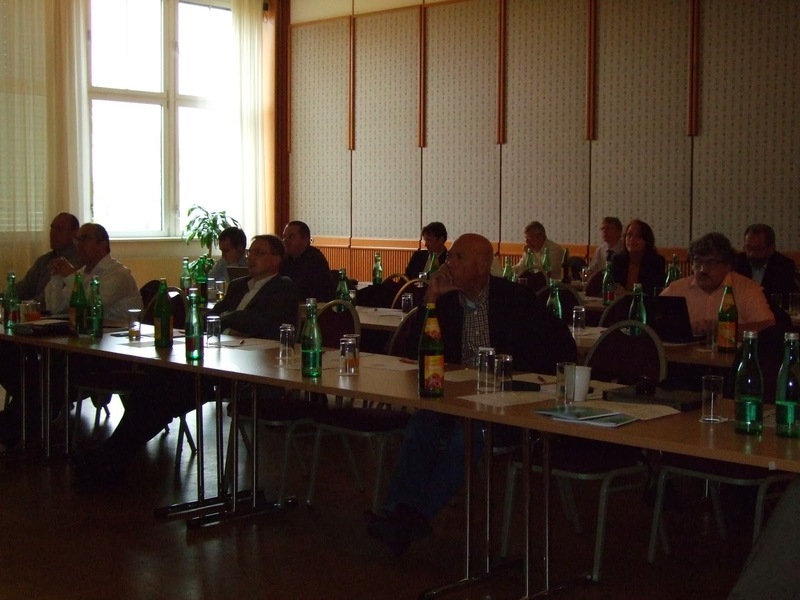 The aim of the seminar was to provide salespeople with more background information and technology. Field experiences of contractors and end-users were shared. Presentations of Fluor and BP gave a sneak preview of the decision time line for ‘smart instrumentation’ for project engineers. 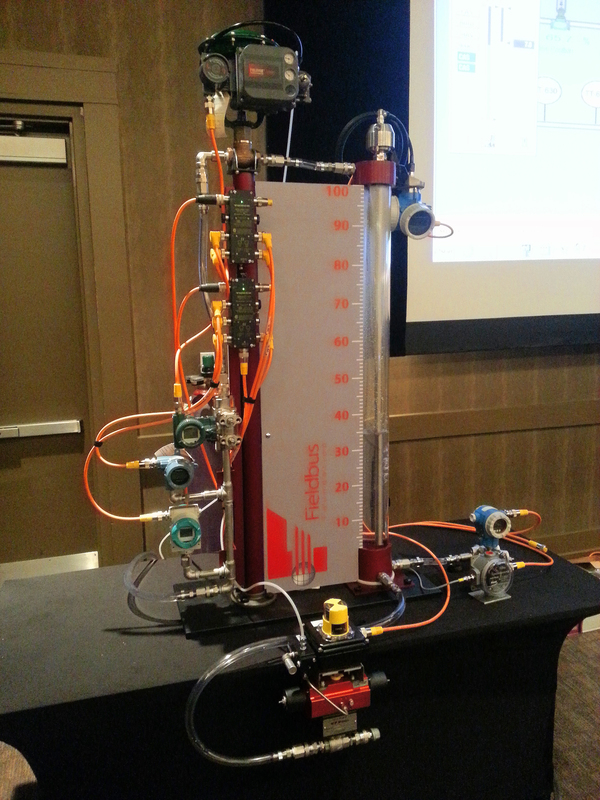 The seminar was closed after a live demonstration of replacing a field device . Why a seminar for salespeople? The Fieldbus Foundation Central and Eastern European Marketing Committee (FFCEEMC), together with fieldbus experts from the Fieldbus Foundation headquarters in Austin, Texas, and trainers from the certified training centers in Brielle (Netherlands) and Miskolc (Hungary), hosted a fieldbus sales training and end user seminar at the Austria Trend Hotel in Brünn, Austria from October 21-22. The events were hosted by Mr. Jürgen George (Chairman – FFCEEMC) and members of the FFCEEMC. Larry O’Brien, marketing manager of the Fieldbus Foundation was in attendance as well as Dr. Bindert Douma (certified FOUNDATION trainer – STC Group, Brielle, the Netherlands) and Mr József Subert and Victor Füvesi (certified FOUNDATION trainers – University of Miskolc, Hungary). Juergen George does an excellent job organizing and executing these seminars across Central and Eastern Europe. Bindert Douma from STC Brielle has years of experience engineering fieldbus projects and is one of our certified trainers under the FCTP program. It was a great chance to hear him share his experience on fieldbus projects. József Subert did excellent presentations on how to design a fieldbus system and take advantage of control in the field. It was also good to connect with various end users and suppliers, roughly 40 attendees from all over CEE, not just Austria. We have many FOUNDATION fieldbus installations throughout CEE, including the MOL refinery in Hungary. 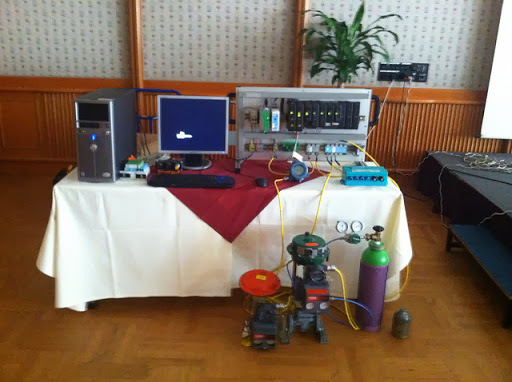 Our trainers from the University of Miskolc FOUNDATION Certified Training Program partner had a nice demonstration set up where they showed access to diagnostic data, control in the field, and more. For more information on FFCEEMC seminars and activities go to their web pages. Last Seminar of the Year next month being held in the Houston Area – Sign up today! Next month (November 6-7th to be exact) will be the last seminar of the year in North America and we’ll be in the Houston area. One of our prestigious certified training centers, Lee College in Baytown, TX has chosen to host us for our event. We look forward to this really great opportunity. Lee College offers certified training courses of varying lengths and depths of study and is the only one in the Southern united states to offer this type of vendor-neutral excellent training. 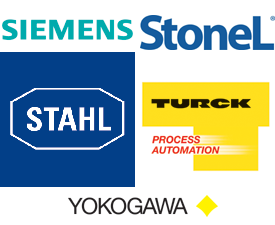 Following the end user oriented seminar, we have a Sales Force Training seminar on November 7th that is geared towards salespeople of FOUNDATION fieldbus. 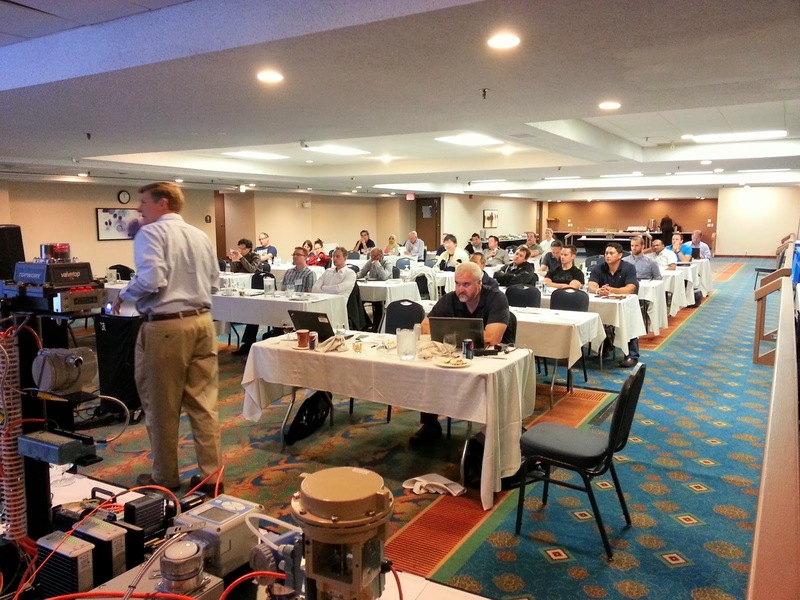 The class is a half day training session on the latest news of the technology and how it can be a major part of a customers next installation. The course gives market data and figures for FF as well as some great resource material to help guide you and your customer on every aspect of FOUNDATION technology. Learn how the latest FOUNDATION for Remote Operations Management can help your customers see further into their process by reaching out to remote assets and integrating them into their control systems and how they can integrate wired HART, WirelessHART and ISA100.11a into their existing FF infrastructure! Also come hear about our latest announcement on Project Gemstone and how FOUNDATION fieldbus is the only open system out there focusing squarely on making the user experience easier and more intuitive, including device replacement. We understand how valuable salespeople’s time is so we’ll have everyone out of the training day before noon so you can still make customer calls and site visits. 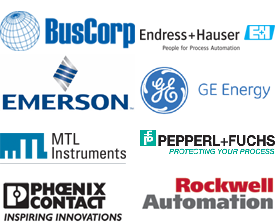 Sign up today to refresh yourself on the latest FOUNDATION fieldbus has to offer! Be sure to check out our Twitter page for announcements on the seminars @FieldbusEvents. You can also view videos from previous seminars on our YouTube channel http://www.youtube.com/user/FieldbusFoundation. We had a great week in Mumbai, India last week as we unveiled our FOUNDATION for ROM demonstration at the Automation 2013 trade show. India has one of the largest installed bases of FOUNDATION fieldbus on a country by country basis. Reliance refinery in Jamnagar, for example, is our largest installation in the world, with over 30 thousand fieldbus devices, many thousands of segments, all done with nearly flawless project execution in cooperation with major engineering and construction partners like Bechtel. Many other industries in India have FOUNDATION fieldbus installed as well, including metals, power chemicals, pharmaceuticals, and more. This is one of the primary reasons the Fieldbus Foundation held our General Assembly in India in 2011. The ROM demonstration was great but that was only part of the picture. Monday September 23rd was the first day of the show and included keynote presentations from Dr. Peter Martin of Invensys, Dr. Gunther Kegel, CEO of Pepperl+Fuchs (also chairman of the board of the Fieldbus Foundation), Larry O’Brien, global marketing manager of Fieldbus Foundation, and Mr. Nandakumar, founder of Chemtrols, a major Indian solution provider to the process industries. 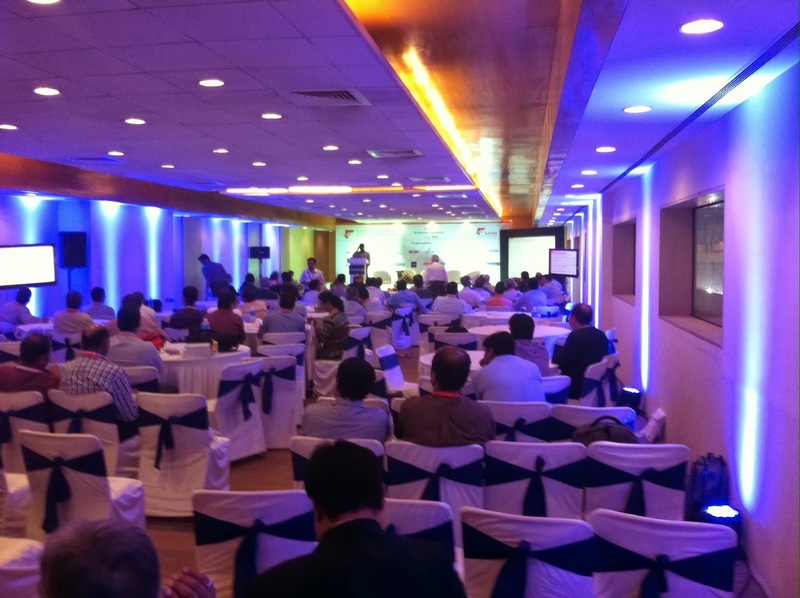 Tuesday we began to discuss FOUNDATION for ROM and overall FOUNDATION fieldbus technology in earnest with a full day seminar that attracted close to 200 attendees, most of them end users, from the Indian process automation business. Mr. B.R. Mehta, senior vice president of Reliance Industries and Chairman of the FOUNDATION Fieldbus India End User Council, began the seminar with some opening remarks about the significant presence of FOUNDATION fieldbus in India. Other presentations included the effect of fieldbus on cyber physical systems by Dr. Gunther Kegel and the FOUNDATION for ROM business value proposition, development roadmap, and demo program by Larry O’Brien. Several presentations from our key supplier sponsors for our live demo project were also given, including Ravi Venkatramana of Invensys, Jonas Berg from Emerson Process Management, Prasad Samudrala from Honeywell, and Andre Fritsch from Stahl. Wednesday and Thursday we delivered presentations on ROM at the booth, which included a live demonstration of FOUNDATION for ROM technology with the full range of devices integrated, including WirelessHART devices, ISA100.11a devices, H1 devices and electric actuators, remote I/O, the ROM devices themselves, and the wireless backhaul network based on HSE, all hooked up to an Invensys host DCS. We were also very fortunate to win the Technology Advancement Award at the show for our ROM booth! 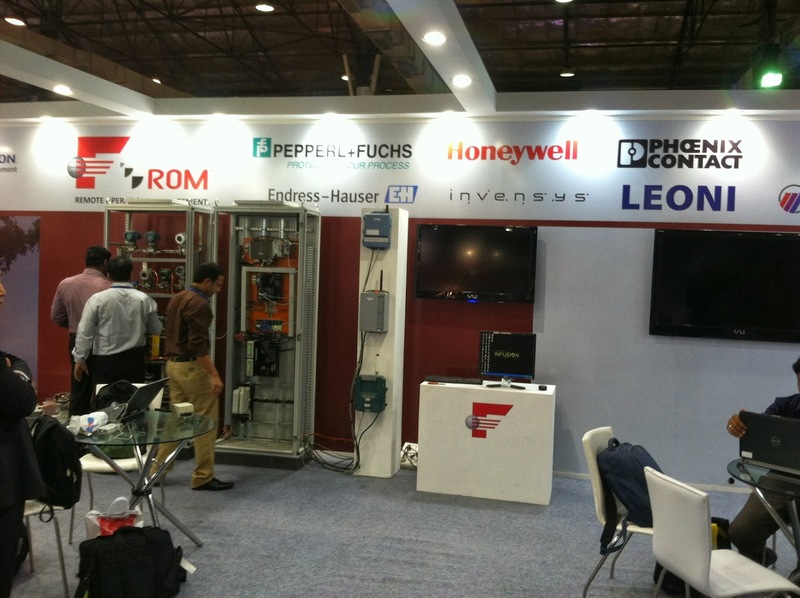 A big thanks to our FOUNDATION Fieldbus India Committee (FFIC) for helping us organize this event. Thanks to our FOUNDATION for ROM sponsor companies for helping us get the booth organized. Thanks to IED Communications for helping organize the show, and our very active end users in India who are the reason we are doing all this in the first place! Middlesbrough, UK – 18 September, 2013 – The Fieldbus Foundation UK Marketing Committee (FFUKMC) is finalising its plans for the third of its 2013 schedule of end user events – a FOUNDATIONTechnology Study Day to be held in Middlesbrough on Wednesday 2 October, 2013. With a morning session focused on an introduction to FOUNDATION technology, a lunch break with tabletop displays and additional presentations, and an afternoon session offering a more advanced programme, delegates will be able to tailor the day to suit their own requirements. Delegates may choose to attend either the morning or afternoon session or they are welcome to attend both. There is no charge to attend and the lunch and lunchtime sessions are open to all delegates. Following registration and coffee, the morning session, from 10.00-12.30, will include an introduction to FOUNDATION technology and solutions, and an insight into the lifecycle economics of the system. The afternoon session, from 13.30-16.00, will present a more in-depth programme of presentations and practical workshops with a focus on supporting a FOUNDATION installation through asset management; device replacement; calibration and recommended maintenance practices. The event will be held on Wednesday 2 October at the Emerson Process Management offices, 2, Eggleston Court, Startforth Road, Riverside Park, Middlesbrough, TS2 1RU. Delegates are invited to register their names, company, email address and session preferences with the UK Committee, email: uk_info@fieldbus.org. The FOUNDATIONTechnology Study Days will continue to be held at locations around the UK. The next scheduled event will be announced in due course. While hosted our seminar in Chicago this week, I was reminded about distributed I/O alternatives out there in the industry and it warranted a bit of discussion. For those that don’t have copies of our latest Fieldbus Report (Spring 2013), you may have missed an article Larry O’Brien at the Fieldbus Foundation has recently put together a document on the future of distributed I/O. The interested thought-provoking premise behind it is that the future of distributed I/O has actually been around for quite some time with FOUNDATION fieldbus. Why are there others who try to make physical distributed I/O smarter or better when it can be easily eliminated entirely? With FOUNDATION Fieldbus, individual physical I/O points have long been replaced by software based distributed I/O, meaning multiple signals are carried over one single H1 cable. There are no custom hardware configurations or additional hardware components to purchase. It all comes pre-canned with FOUNDATION fieldbus. Blocks can be linked together virtually in the software without the added work, cost and labor of running additional wiring. This is what we’ve dubbed “VirtualMarshalling”. It is the future that is already available today. It’s a bit like those Samsung Galaxy commercials of today that take pokes at the iPhone with their tagline “The Next Big Thing is Already Here”. In the realm of industrial process control, the next big thing is already here and it is called VirtualMarshalling. Check out our paper on VirtualMarshalling below and learn how returning to the basics actually provides you with the competitive edge, all built-in. Remember, FOUNDATION fieldbus was built by end users wanting a better technology built specifically for Process Control that can replace the outdated 4-20 from days yore. We were very happy to be able to present at the ISA Will DuPage Section meeting last night in Plainfield, IL at Nevins Brewing Company. It was a great turnout at what is obviously a very well run ISA section with lots of active members. 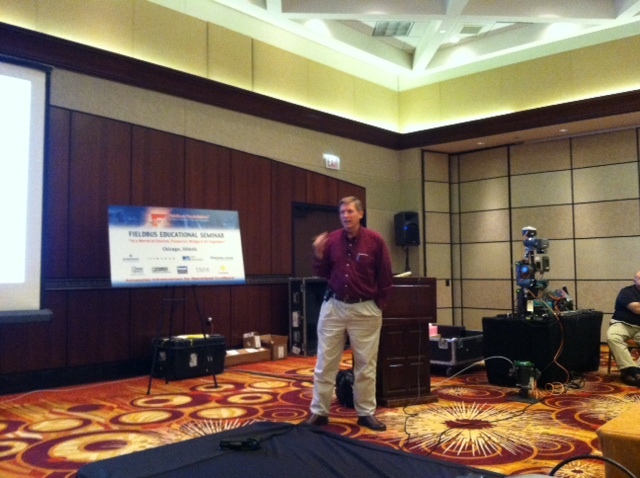 Today we are hosting our end user seminar at the Chicago O’Hare Airport Marriott. In fact, here is a picture of our End User Advisory Council Chairman John Rezabek delivering his presentation on the value of FOUNDATION fieldbus for end users. You can download the presentation here. As John is fond of saying, FOUNDATION fieldbus grew out of the ISASP50 committee, which was comprised largely of end users, who asked for things like our user layer, control in the field, and standard digital communications.